What is a good journal? It depends on who you want to reach with your article. What is your topic and who might want to read it? To compare different journals connected to the field and topic of the article can be good, if your favorite journal for some reason will not publish your article. 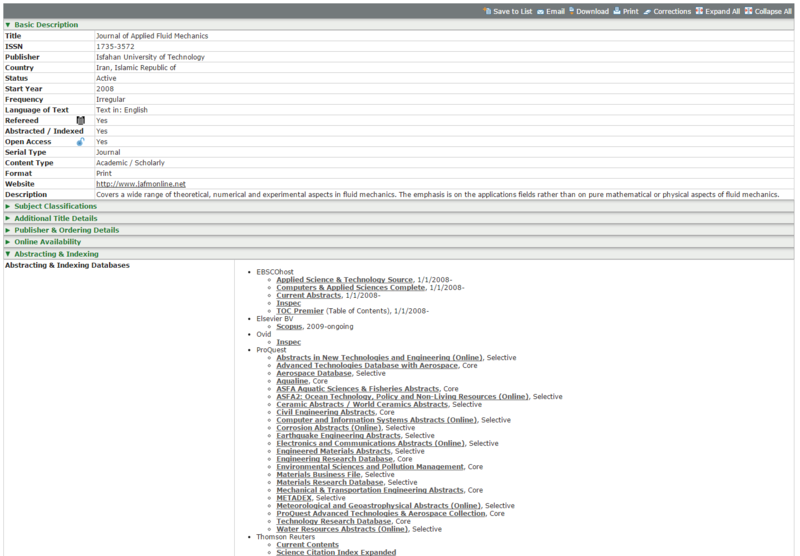 When evaluating a journal it is good to know where the journal is indexed, information we can get from Ulrichsweb. We can see that the journal we found in the post Evaluating a journal that it is still active and when it started its existence. We can see the publication frequency, where it is located and other useful information. The focus of this post will be the information found under “abstracting and indexing”. Here you can find information on which databases index the journal and give you a hint on the reach of the journal. For one thing we can see that the journal is indexed in Thomson Reuters citation index, this makes it possible to see the journal impact factor connected to the citations in this database. This database is usually the first choice when it comes to citation analysis. The journal is also indexed in the bibliographic database Scopus another database that makes it possible to look at citations and impact factor. You should also look at your topic when choosing where to publish. You are probably writing in a specific field, and then you would want your journal to be indexed in databases that are important to your specific subject. You are more likely to be cited if people in your field find your article. 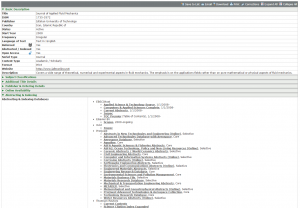 In this case since our article probably have a connection to fluid mechanics; it is good that the journal is indexed in Inspec a bibliographic database that has good coverage of engineering publications. If you on the other hand are writing about economics it would be nice if the journal is indexed in a database like Business Source Elite. There are several factors in play when it comes to getting citations like: the quality of your work, the quality of the searches made from other researchers, the relevance ranking in the database and so on. But being indexed in appropriate bibliographic databases increase your articles chances of being found. You don’t have to do this by yourself, contact your library.